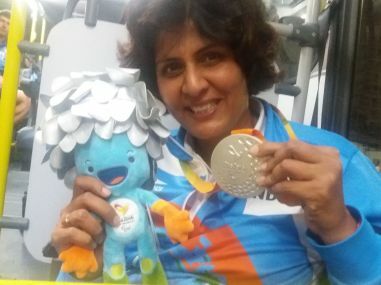 Deepa Malik won the silver medal in the women’s shot put event with a throw of 4.61m at the Paralympics in Rio de Janeiro. A confident, strong woman is a 45-year-old wheelchair-bound adrenaline junkie who has refuses to let any conversation veer to sympathy that her disable condition often attracts. She wrote history when she won the silver medal in the women’s shot put F53 event at the Rio. Hailing from an army family, Deepa’s life had been full of thrills and adventures growing up. Her life took a twist when a spinal tumor made walking impossible 17 years ago and she has to undergo 31 surgeries, which was healed after 183 stitches between her waist and legs. Deepa, a colonel’s wife has also won the Arjuna Award in 2012 for her performance in swimming. A paraplegic, paralyzed from waist down and mother of two daughters has won 54 national gold medals and 13 international medals in various sports including swimming, javelin throw and shot put. She drove on the longest (Chennai-Delhi 3,278 kms) pan-India drive by paraplegic women in 2013 and completed driving across nine high altitude passes in nine days on Ladakh’s highest motorable roads. She was the first woman in the world with her disability to attempt a journey like this in 2011. 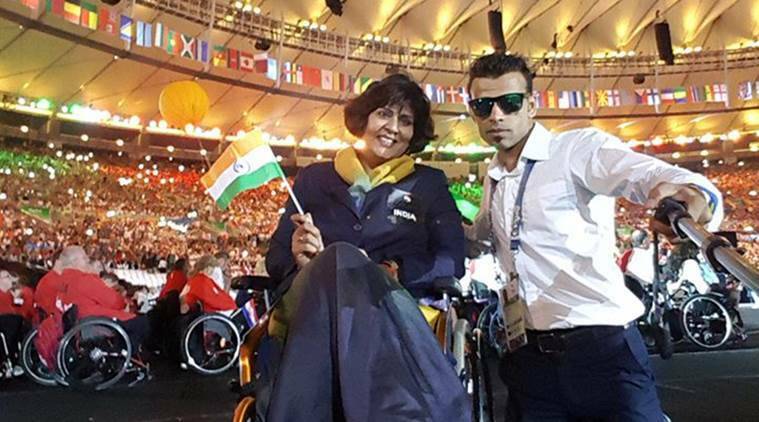 Deepa knows how it is to be a para-athlete in India. She fought 19 long months to get a license as a rally driver in Maharashtra. But it is not all about the system in India. Our athletes win despite all odds. Mariyappan, Deepa and Varun tell you the best stories of grit and determination that made them stand out. Deepa is a vocal spokesperson for paraplegic rights in the country with her Ability Beyond Disability movement. She will receive a cash award of Rs 4 crore under Haryana Sports Scheme for winning the silver medal.